Toothache … it’s something that everyone dreads. An intermittent stabbing or a constant, throbbing pain. Severe discomfort when you have a hot or cold drink. Trouble getting off to sleep, enjoying a good night’s sleep and difficulty in concentrating on anything. Toothache … if it happens it can virtually ruin your life. Here’s hoping that you don’t suffer from it, but if you do, then this is what to do. There are a number of types of toothache and the best remedy for all of them is to make an appointment to see your dentist. At Carisbrook all you have to do in case of toothache emergencies is to phone 0161 951 7295 and we will do our very best to see you as quickly as possible. Almost certainly this will be on the same day and if it is at all possible – within the hour. Even if it is out of hours and over the weekend you can still call us and you will be given the number of our Emergency Dental Care ‘on call’ dentist. Just call that number and he will call you back to assess the problem and to provide any advice, help or treatment that may be necessary. Quite often we find that the pain can simply be from a sensitive tooth and generally speaking the symptoms are worse when you have a hot or cold drink or breathe in cold air. If you think that you are suffering from a sensitive tooth then it is often possible to overcome the discomfort by switching to a ‘sensitive’ toothpaste. If the symptoms persist however, then please do not hesitate to contact us. Another and far more painful type of toothache is caused when the nerve of the tooth dies. Often the result of tooth decay, these unpleasant symptoms include a continuous pain or an intermittent throbbing ache and it is especially painful when biting and eating food, or when you are drinking or swallowing. The main cause of this toothache is when the outer enamel of the tooth has been destroyed allowing acidic erosion to decay through the softer pulp of the tooth and penetrate into the nerve of the tooth itself. If left unattended tooth decay not only causes severe toothache but it can also be the cause of painful dental abscesses. At Carisbrook we will do everything in our power to save the tooth, usually by removing the damaged sections and filling. 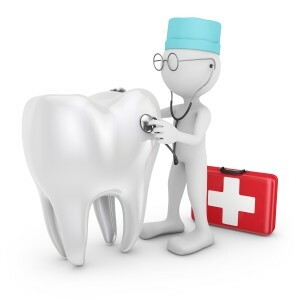 We may have to undertake root canal treatment, but if it is at all possible to save the tooth then we will do so. 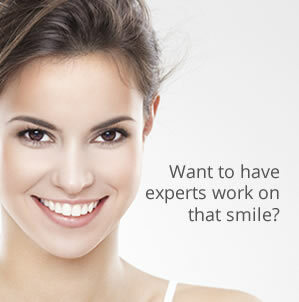 Only as a last resort will we recommend Oral Surgery to remove the tooth. Please do not wait until you require our Emergency Service before you contact us. Regular visits, as part of a preventative dentistry routine will generally ensure that your teeth and gums remain healthy. To make an appointment whether it is for an emergency dental care or routine examination just call 0161 951 7295 or book online using the form on our Appointments page.